Promise Rings often misunderstood as engagement rings signify just what it says, a promise. These rings most of the times named as purity rings, pre-engagement rings, or commitment rings. They are oh so special & popular among young generations of today. The concept of giving promise rings might sound new but the tradition of using rings as a symbol of love or commitment has existed since ancient times. It’s a pre-matrimonial or pre-engagement trend which is still unknown to many people, read this hub to know the meaning of promise rings, the history behind these rings, what do they symbolize, why you should give one to someone, and how do they differ from engagement rings. 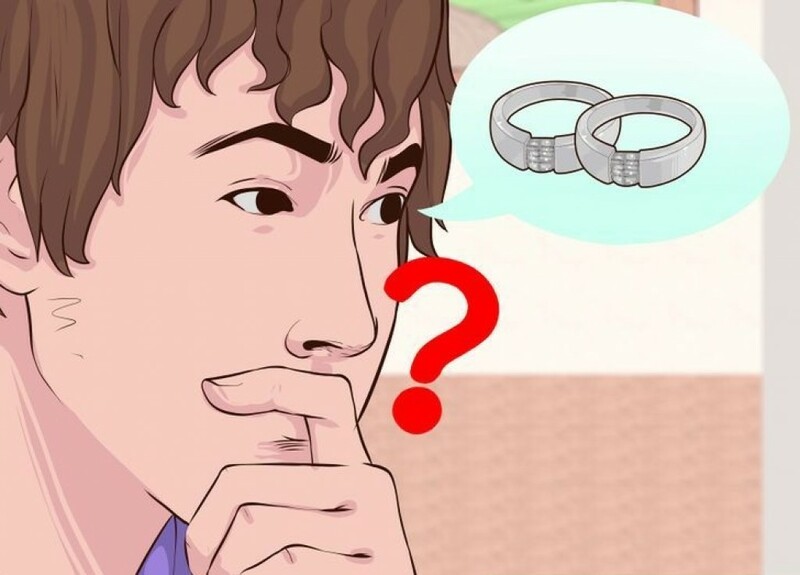 What Is a Promise Ring and Its Significance? The meaning of promise rings varies between couples, but it mainly symbolizes a promise which is being made. They are a symbol of love, friendship, devotion, or a commitment of getting married in the near future. It’s not essential that a promise you make should be just for a marriage, but it can be a promise of engagement, commitment to one another or anything else. 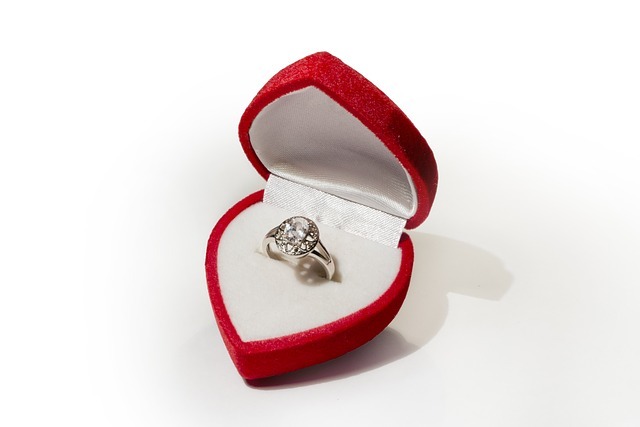 A promise ring can be gifted either to your friend, parents, kids or to a special someone. A true definition behind presenting a ring differs from couple to couple; you can even give a ring, in return, of getting a promise of leaving any bad habit like drinking or smoking from the significant other. It is more than just a ring; they are available in a variety of shapes and styles like a heart-shaped diamond ring, plain diamond, gem-studded bands, a yellow gold, white gold or platinum rings and a lot of other choices! Don’t you feel like knowing when did the tradition of promise rings actually come into existence? The tradition actually dates back to several hundred years. In ancient times, bishops used to wear promise rings as a symbol of a spiritual marriage or union with the church. During the 2nd century BC, Roman brides wore these rings to signify permanence and strength, it is to be believed that Roman men claimed their women by presenting this ring. The promise rings originated in England in the 16th century, named as posy rings because they were engraved with romantic poems or short messages. 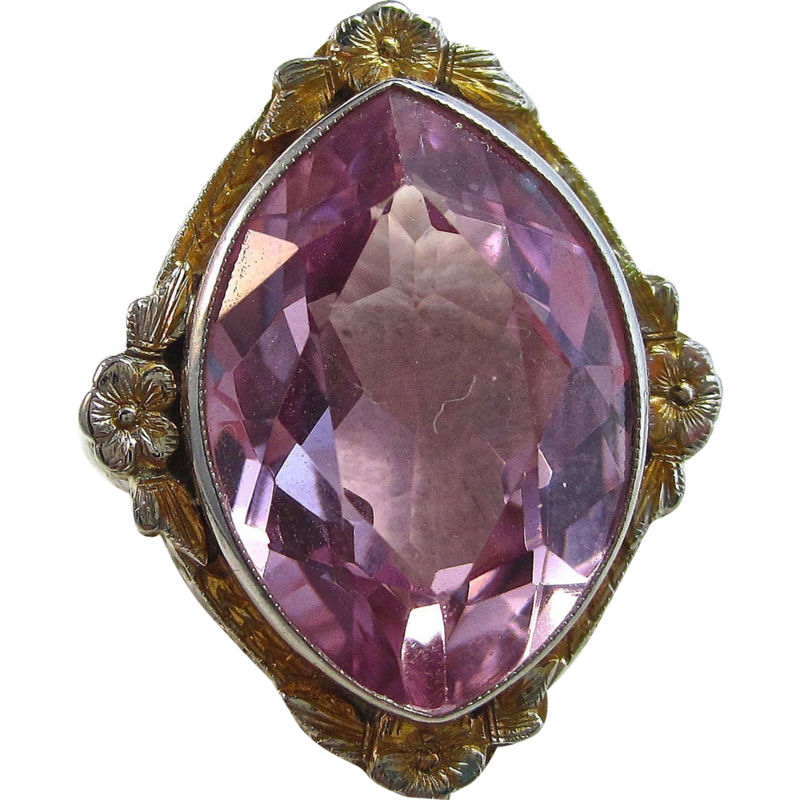 During the Victorian or Georgian eras, acrostic rings were introduced, gemstones engraved in these rings were arranged to spell out a word such as regard or love. It’s only in the past decade that promise rings have become a popular trend. Earlier only the men used to gift a ring to women, but today both a women or men have opportunities to gift this ring. Also known as purity rings, purity rings have a great significance, they denote loyalty and fidelity. The reason why promise rings have conventionally been worn on the ring finger of the left hand is that there’s a vein inside which runs straight to the heart. Engagement rings are different from promise rings, although commitment rings should not be taken lightly. Couples exchange engagement rings with a promise to marry in the future. Promise rings can be called as pre-engagement rings, but can never be defined as engagement rings. Engagement rings have such a sacred nature, but purity rings specify a commitment towards a relationship, a decision to remain celibate until marriage, a symbol of love, purity or have many other meanings. So, dear readers, I’ve always thought of explaining the real truth behind promise rings and how they’re different from engagement rings. I hope you’re now well educated about the topic, so now how you would choose a promise ring? Yes! 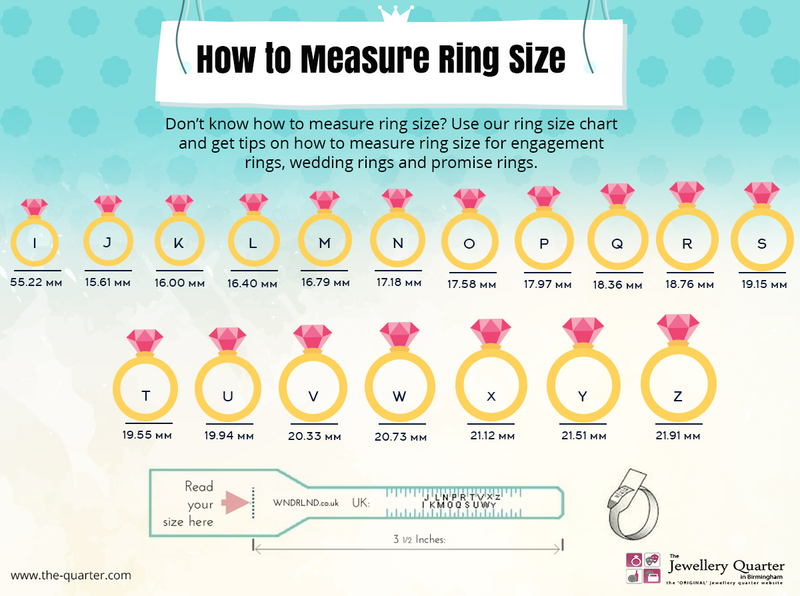 This chart will let you know your ring size without having to spend on mandrel set or ring sizer. How, you ask? Well, we have mentioned the names of the methods above and to practically implement them, read further. This method requires you to know the diameter measurement of a ring that fits the fourth finger of the left hand. The very first step that you need to take is… get the ring size chart printed. When you have the chart with you, place your ring over the circle that you think is close enough to the size of your ring. You will get the size that matches the size of the ring and in case the size of the ring falls between two sizes, go for the larger one. Like the previous method, in this method too you require a printed copy of the ring size chart given, and besides that, a plain piece of string. Take a piece of string and wrap it around your ring finger till the point it overlaps the string, and when it does, cut it at that point. Now, take this piece of string and line it with the ring size guide as given on the chart. The size on the sheet that matches the size of your string is your ring size. Again, if the size of the ring lies between two sizes, it’s better to go for the larger ring size. Stating these two methods, we would also like to tell you that printable ring sizer is not a professional measurement and accuracy discrepancies may occur owing to various reasons, printer settings and stretch of the string being two of them. So, it’s better to consult a professional jeweller if you have doubts. Choose snug fit – The size of the ring should be such that it should ‘slip in easily, come off hard’. If you follow this rule, you are less likely to lose it owing to the fitting. Seasons affect your ring size – It might be surprising for many of you, but it is a fact that your fingers change their size all the year round. Yes! They do and specially during summers and winters. While they swell up in summers, they come back to what can be called as the original size, in winters. 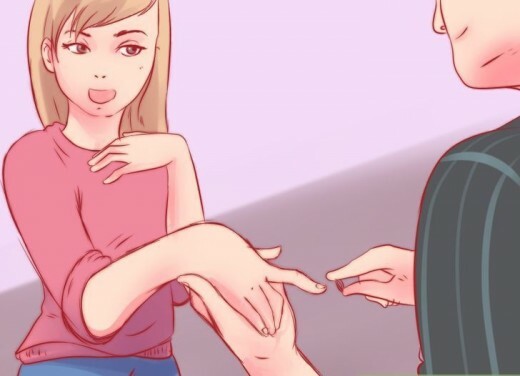 Choose a size larger – Some may discover two different finger measurements or may notice how the same ring fits differently from time to time, if this is the case, go for the size that’s a bit larger or go for professional measurements. But remember, the size has to be only ‘Bit’ larger and not more. We have only told you about the ring size in this blog, you still need to figure out what style you want to go for. If you have the ring of your choice in your mind, you can simply explore our website and approach the jeweller whose collection you like. If you are not sure of the ring type/style, then also our jewellers’ collection is likely to impress you. So, in the end, we would only like to say, Happy shopping! 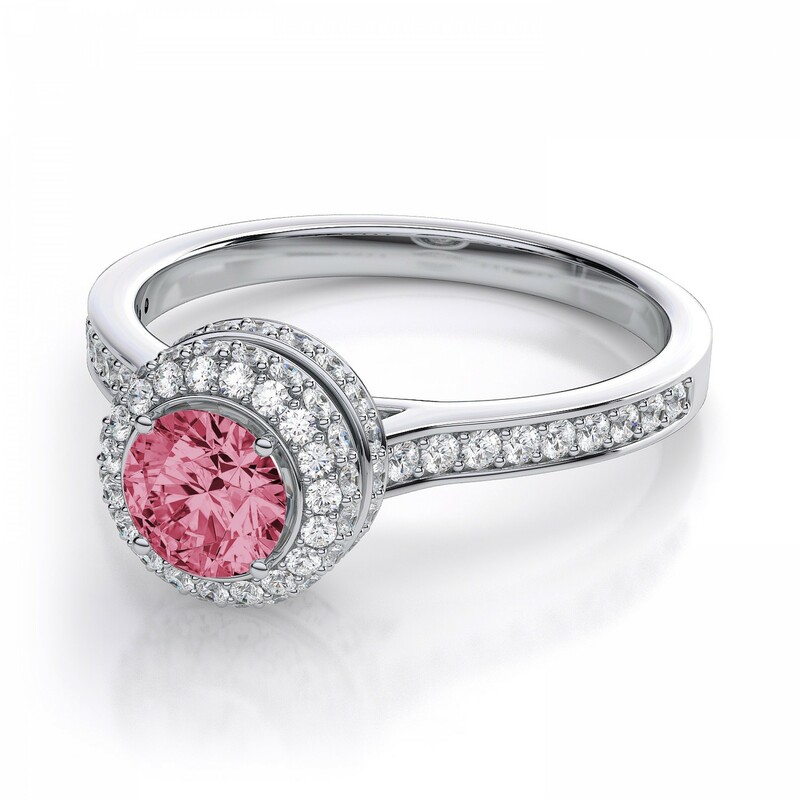 Why always a diamond engagement ring, we guess you haven’t seen these gorgeous Pink Engagement Rings yet? Here in this blog, you’ll explore some of the fascinating ring designs displaying charming pink diamonds. A traditional diamond ring is old-fashioned; you must try a coloured stone ring. And if a bride is non-traditional, then you should surely think of buying a unique ring option for her. Nothing could be better than a royal Pink Engagement Ring; it will help you stand out amongst a sea of enduring diamonds. It’s really not essential to invest only on the diamonds for your engagement ring, pink diamond rings along with other colourful rings are having a major moment. From Marquise to halos, pear to vintage, you’ll find almost every style to check out here. Pink diamond rings come in multiple hues: from light pink diamonds to warm stones such as morganite and garnet, to sapphires and other different colours. Pure pinks suit best to fair skinned brides, fuschia pinks favour dark skin tones, but to pick the right pink colour, it is important to understand your skin tone. Make your bride feel like a princess by choosing the Regal Pink Engagement Ring. You’ve got bored of seeing a diamond ring, then you can buy this classic pink diamond ring that will always remain in trend. This marquise cut ring adorned with an ethereal pink-purple hue diamond along with sparkling white diamonds is an out of the box choice. 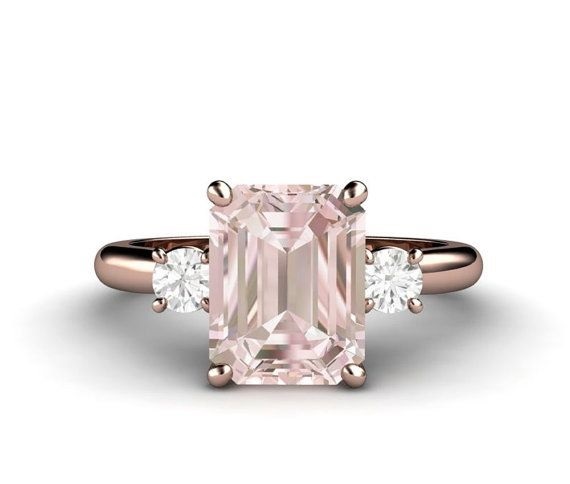 If a bride-to-be likes something modern but at the same wants an elegant ring, then presenting this delicate and Modern Pink Engagement Ring can bring a huge smile on her face. 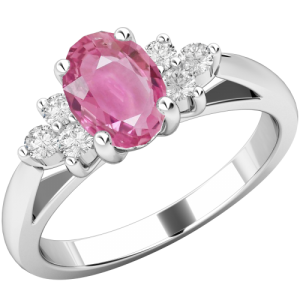 This Romantic Pink Engagement Ring is a great alternative to an expensive pink diamond ring. 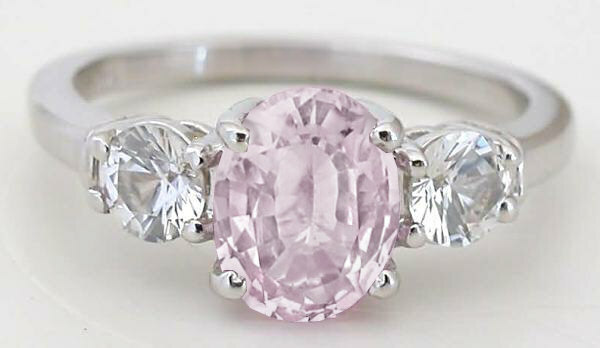 The ring you’re seeing here is studded with light pink hue diamond that makes the ring a stunner. If you were searching for something antique or vintage, then a ring shown here can completely satisfy any beautiful soul. At the Birmingham Jewellery Quarter, famous Birmingham jewellers stores a variety of Pink Engagement Rings that are available at best prices! You should not miss a chance to visit the Birmingham Diamond District to find classic, vintage, romantic and different other varieties of Engagement Rings Birmingham UK and Wedding Jewellery Birmingham. 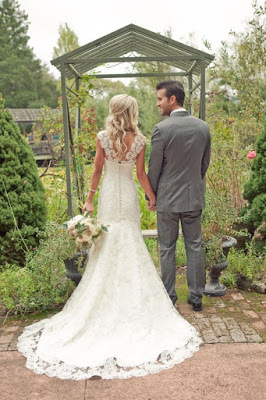 Ever since a girl turns a teenager, she keeps romanticizing about her D-day, imagines to make it the most wonderful day of her life and what forms the most important part of her this endeavor is… her wedding look. And thinking of wedding look makes her think of wedding jewellery. Yes! Girls don’t want to go wrong with their jewellery and specially when it’s to be worn on the most special day of their life. Jewellery could either enhance their look or could do just the opposite. While there are many girls who see jewellery as just an ornament that adorns them, others are aware of what each piece symbioses and its importance. Both, the east as well as the west sides of the world have their own sentiments attached to the wedding jewellery, for them it is much more than something that sparkles and shines. And the best example of this is south Asia, where the bridal jewellery is incomplete without sixteen adornments. Yes! There are sixteen adornments and each of which holds its own importance, can you imagine!!! Well, not lagging behind is the west, where wedding is incomplete without wedding ring, which symbolic love and fidelity of the giver. For the westerners, the jewellery may also be a keepsake from the female ancestors who are no more or want to pass on the ornament as their legacy. All in all, jewellery has its own importance for the bride, be it something that beautifies her look, a souvenir from some elder or a symbol of something. If you are also soon-to-be- bride who doesn’t want to leave any stone unturned in looking the best for your big day, you can read the article to get an idea about what piece of jewellery to select and how. Ring– The most important point to be kept in mind before buying the engagement ring is the shape of the finger. For example, if your finger is short and chubby then you should select a pear shape as it will make your finger look longer, other than this you can also opt for marquise. And don’t worry if have long and thin fingers, round, cushion or emerald-cut will look good on them. And as far as the design is concerned, some like modern designs, others favor vintage look. So, go to the store today, see what you like and choose according to the shape of your finger. Simple! Isn’t it? Earrings – They are the bridal accessory you can’t afford to ignore as they can completely change the look of your face. It can brighten the face and make you look the prettiest bride ever, so… choose them wisely. You have the option of selecting from a wide range so don’t get confused, look for yourself whether it’s drop earrings, Chandelier, dangle, ear string earrings or hoop earrings that suit you. Also, keep in mind the hairstyle, because earrings should be in accordance with the hairstyle made. Necklaces – You should have the right kind of necklace to compliment your bridal ‘Dress to impress. Keeping the metal of the ring’s band in coordination with the metal of the necklace will put a life in your look so, if you go for platinum band for your ring, make sure that your necklace is also of platinum. These tips could only help you a little bit, because it’s you who has imagined her bridal day look and could make the decision. So, go to the store but… hang on. Let your partner also read these tips, maybe he could also help you out based on your choice and the tips above. And once he is done reading, take him along to shop for your special day. Happy shopping! Wouldn’t it be awesome if you can find everything from a small piece of thing to the expensive Jewellery online? Today, almost every brand is focusing on bringing their products online for purchase. Where jewelry has become the most eminent part of the women’s lives, the jewelry stores must have their existence on the internet. To make your jewelry shopping convenient and compelling for shoppers, Birmingham Jewellery Shops already have their online setup. These shops allow customers to find a huge variety of jewelry at one place with a single click. There are multiple benefits of buying jewelry online, Birmingham Jewellery Shops stocks an assortment of styles like earrings, necklaces, bracelets, rings and lots more! The complete concept of online jewelry shopping has transformed, women’s desires for pure, certified, alluring, overall the perfect jewelry to add to their stock. Different buyers have different tastes, some people search for the diamond jewelry, some want to buy gold jewelry, all these varied needs can be fulfilled online. You can choose from the latest, premium jewelry range, online jewelers offer amazing discounts and an assortment of schemes. They provide essential certificates and hallmarks for assuring high quality and purity. Shopping jewelry online is completely safe and secure, it is really a time-saving thing! You’ll get many other advantages if you purchase jewelry online like it’s open 24/7 for you. People can place their order at any time they wish to. At Birmingham Jewellery Shops, you can find the widest range of jewelry in diamonds, gold, platinum, you can even ask for customization’s . Marlow’s Diamonds is a lavish online store that offers the most wondrous jewelry collection. Each piece of jewelry is expertly crafted, we make sure to satisfy different needs of customers by providing the best online services. Our website showcases some of the best Birmingham Jewellery Shops, they are all recognized, sells exquisite jewelry designs, each creation you will find here is a masterpiece! You must plan a visit to these popular jewelry shops in the heart of Birmingham, The- Quarter. The world knows how specific girls are about their look, they can do everything that is required of them to look the way they have imagined. Be it any girl, of any country, religion or creed, wants to look her best on her D-day. And god forbid if the planning for her special-day-look goes against her will. Everything that the bride wears, counts and specially the jewellery that plays one of the most important part. This article is to guide the would-be-brides on how to select the jewellery that will accentuate and add shimmer to their most valuable day. Your dress should be first thing that you should think of buying before settling for any other thing of your wedding look. Jewellery has its own importance but it’s always the dress which is the hero of the day and this hero should be given the attention it deserves and having said that, jewellery should be decided based on the dress you pick. Once you are done deciding your dress, you can take the next important step of choosing the right kind of jewellery. Bridal jewellery should be such that it doesn’t overshadow the look of your dress, hence pick something which is little understated. Also, keep in mind that you’ll be photographed and it’s not only the face, but also the hands that will feature the most in the wedding day shots, so wear a bracelet that will look amazingly beautiful on your hands. Talking about other pieces of jewellery, wear earrings that go well with your dress while keeping all the attention on your face. Be it earrings, bracelet, necklace or any other bridal jewellery, you can find all these with Birmingham Jewellers. Different metals will suit different skin tones. So, other than the type of dress, your skin tone should be the deciding factor in knowing whether you should go for gold, silver or platinum. When you visit Birmingham jeweller, make sure that you try all the options before finalizing the one that goes with your skin tone. It’s not necessary for you to go the conventional way, you can be little experimental but do it only if you are too sure about it, else don’t risk your most special day’s look. If you have beading on your wedding day gown, you can try pearl earrings. Can match tiara with your neck piece or can try some other ideas as well. 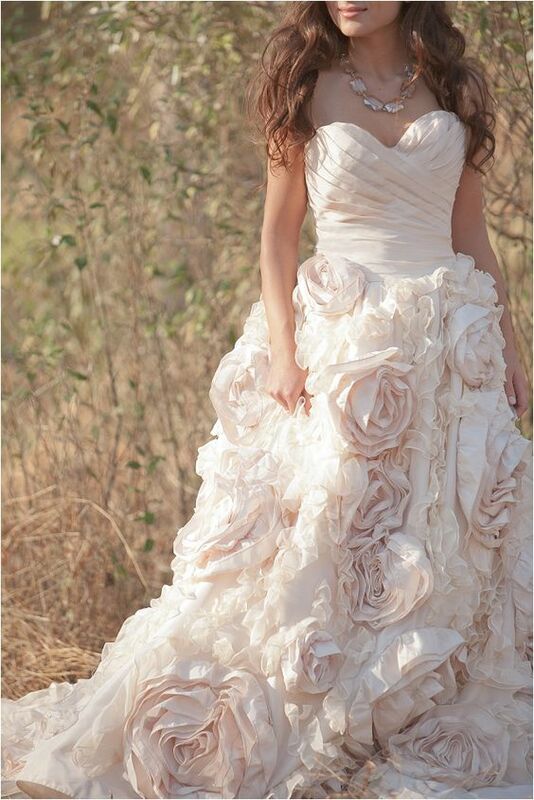 Hope the tips were useful and this article will assist you in finalizing your wedding day look. Fine jewellery makes a style statement, speaks a lot about you and there has hardly any girl who has denied the love for jewellery. Jewellery is fun, wearing it is pleasurable and it is something that can bring life to your look and make your day. But, not all jewellery is versatile enough to suit all kinds of outfit. Jewellery enhances your look, but the reverse is also true, so, you should go for the jewellery which is tailored made for certain occasions and dresses. While some occasions let you glamorize your prized possessions in abundance, others are meant to go simple with your plain and delicate jewellery. This article is a code for those who don’t know what kind of jewellery to wear on any particular occasion. This kind of jewellery is comparatively inexpensive and is known to add personality to an outfit. It comprises of trinkets, for example, small stud earrings, hoop earrings, anklets, chain necklace with pendant, small necklet, etc. Those who love wearing jewellery find this one fascinating. Why, you ask? Well, obviously because they are simple enough to be worn on a daily basis. Moreover, this kind of jewellery is easy-to-wear and hence attracts a lot of office goers, who prefer something like a pendant necklace that can be worn with their V-neck tees and high-neck sweaters, bracelets, that add a charm to their professional look and something like a gemstone stud earrings that gives them a polished and subtle look. As the name suggests, this jewellery is mostly meant for glamour. They can be simple pieces of jewellery with a lot of sparkle or hefty and chunky ones. They go well with party dresses and so, the best occasions to wear them are the cocktail parties or the dinner parties. But the key point here is to jazz up your look you should wear a piece or two of this kind of jewellery and never overdo. The best place to find the right kind of party jewellery is the Birmingham Jewellery Quarter. Wedding band/ring is the essential part of wedding jewellery, other than this, it depends on the bride how else she would like to accessorise her D-day look. While pearl studs, necklaces and bracelets will look good with almost all wedding dresses, it’s the neckline of the wedding dress which will be a deciding factor for the necklace style. Those who opt for the long hanging earrings should give a miss to a necklace or go for a very sleek and delicate one. Wearing both, a heavy necklace and long earrings will mean no attention towards the bride’s pretty dress, which is considered to be star of the bridal look. If you have got the idea about the kind of jewellery you should wear for any upcoming event, visit Birmingham Jewellery Quarter. It houses a large collection of jewellery and so, you’ll get what you are looking for. So, buy the best, look great and be happy. Are you simple, self obsessed, svelte or dare devil, know what you, are based on the jewellery you wear. This article will tell you your personality traits based on your jewellery liking. Did you ever ponder over the fact that your jewellery says a lot about you and your personality? While buying jewellery from any of the Birmingham jewellery shops, you may have focused on what to buy and what not to, but must have definitely given a miss to the fact that jewellery is a reflection of who you are. Yes! Your Jewellery speak volumes about you. How? Well, there are many ways to know this and some of the questions that may have popped up in your mind are answered in detail below, so read ahead and discover yourself in regard to your choice of jewellery. If you are somebody whose heart beats for simple pendants and earrings then you have quite a confident personality. You may be introvert who’s not too sure of the way you look, but in actual you have great confidence in yourself and love your jewellery. There are many who visit Birmingham jewellery shops to get a piece of jewellery that is personalised. For example, a pendant with their names or first letter engraved on them. If you are one of them, you fall into this category which means you are self obsessed and somebody who loves herself. There are some who have an inclination towards pearls. They choose the most elegant jewellery and carry it with utmost poise. Usually the royals have a taste for such jewellery. Such people are most often characterised as calm and composed. These people don’t have a taste for any particular kind of jewellery, but they match different kinds of jewellery according to their outfit. They are usually the ones who are well sorted in their lives, are extremely organized and think before every action they take. Such people may seem lil’ reserved, but talk to them about different cultures and literature and you’ll notice that they can speak at lengths about such topics. They have a high intellect, interest in reading about history, culture, language, etc. and are open about the way they are. They are not shy rather hate fakeness in others. Their jewellery may be a keepsake from somebody special or may be something that seems historical. They are somebody who believe in themselves and don’t value others’ opinion of them. They may prefer tribal jewellery or jewellery which may seem awkward to many, but they have the flare of carrying themselves with pride. These people follow the fashion which many may be termed as eccentric by many. They are adventurous, passionate, tom-boyish, sporty, etc. 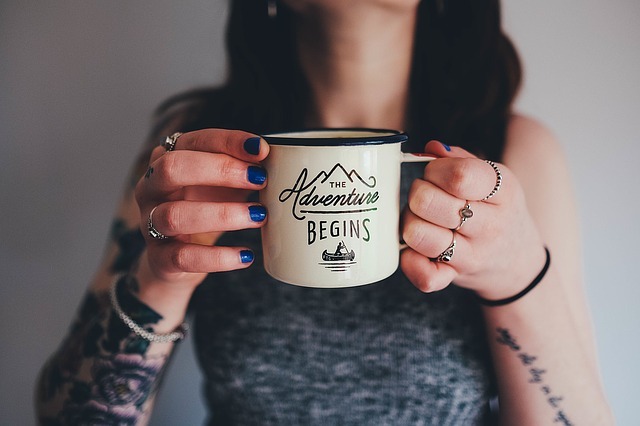 They are daring and try their hands at risky tasks.The jewellery they wear includes chains, skull shaped pendants, knife or scissor design rings or pendants etc. So now, that you have read the entire article you can make out which category you belong to and what are your personality traits. 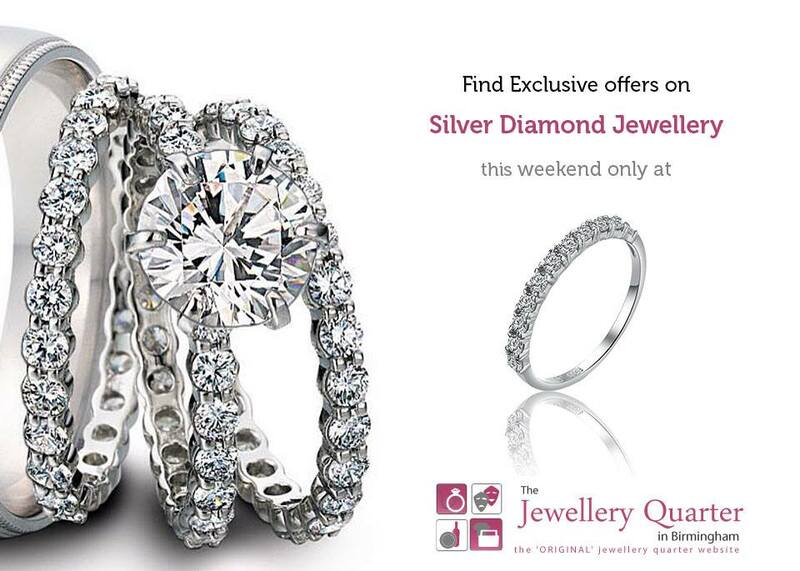 And for any kind of jewellery options you can always visit Birmingham jewellery shops. These shops will amaze you with their collection. With February in sight, Valentine week starts the confusion for the perfect gift for a beloved. Saying ‘Yes’ at first and then saying complete ‘No’ for the same idea of gift keeps perplexing until you select the most satisfying gift. Before arriving at the perfect gift, you might just want to chose chocolates but then they are gone once eaten, you might decide on flowers but, they are pretty and pleasing but until they wilt. So now, what else? If looking for a lifelong gift, then what better than a piece of jewellery? Jewellery can be a perfect gift. 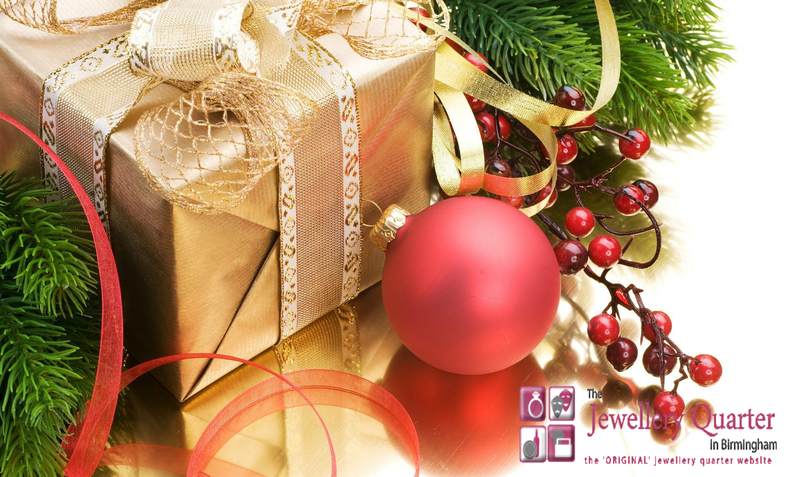 So, stop the confusion, and simply decide on what kind of jewellery to gift. Although finding an ideal piece of jewellery is not easy task, and believe us as we discover with so many choices available. There are many options to choose from and that is where you can get utterly confused and moreover, since it costs a lot you can’t afford to go wrong selecting it. You might just buy the jewellery you feel is the best but your best may not be the best for your partner. So, before buying, always keep your partner’s preference, choice and personality in mind. Take into considerations whether she is an earring girl, prefers a ring or would love to be presented a necklace. You may get some gentle hints over time. Rings – If ring is what your girl prefers, then you have a wide range to select from. While selecting a ring, decide on the shape of the diamond your girl prefers. Since it would be her valentine gift, she might just treasure having a heart shape over other regular shapes. Talking about the regular shape of diamonds, you can choose from round, princess, emerald, asscher, marquise to cushion shape, etc. Well, there’s much more to rings than just the shapes of the diamonds, and by that we mean you will also have to choose the right kind of band for your ring and yet again there are lots of choices there, from gold, platinum to silver. Earrings – So you think your partner would like earrings? Good, I guess they are easier to select as compared to selecting a ring. All you have to know is what kind of earrings she has been wearing and I am sure you must have paid attention to that, if not try to see today and then find something similar for her. You can go for drop earrings, dangle earrings, hoop earrings or simply stud earrings. Necklace – If wearing a necklace is her idea of glamour and to dress to impress then go for a necklace. Choosing a necklace purely depends on her choice. Like rings and earrings, there is no criteria for selecting a neck piece. Now, that you have got the idea I am sure you must be clear with what to buy but selecting a gift is still to be done. Don’t worry and go to any of the Birmingham Jewellery Shops and see what they have to offer you and then buy whatever you want to. Christmas is round the corner so gear up you all, it’s festive time. It’s time to rejoice, time to celebrate, time for gifts. Gifts make the occasion all the more special, the one who receives it gets happy for obvious reasons and the happiness of the one giving it crosses all the limits when he sees the receiver liking it. Gifts hold value only when they are appreciated by the receiver and so, in order to make it valuable, the giver has to think a lot, make a lot of calculations and then come to a conclusion. But when it’s about gifting a woman then what’s better than a piece of jewellery. And making the work of choosing the perfect jewellery easy for all the boyfriends, husbands and brothers, are the Birmingham Jewellery Shops. If you want to make the special woman in your life feel all the more special, then jewellery is the best thing you can gift her. She is the one and so don’t compromise when thinking of a gift for her. Birmingham jewellery shops have a lot of jewellery options to make her feel pampered and happy, so, you don’t have to worry. Only thing you have to think about is that whether you want to buy her gold, silver, platinum or diamond jewellery. Yellow Gold – This is what is the actual colour of gold. This is what most of us wear. Rose Gold – This kind of gold is little pinkish in colour. It is not pure and is made by mixing copper with gold. Copper is what gives pinkishness to the gold. White Gold – This one resembles platinum and looks good with diamonds and other precious stones. Stop thinking and start shopping, it’s Christmas time. Come to us at The-Quarter and buy the jewellery you like. Merry Christmas! !